A man who murdered his 18-month-old daughter just two weeks after formally adopting her has been handed a life sentence.Matthew Scully-Hicks, 31, of Delabole, Cornwall, was told he must serve at least 18 years in jail before being considered for release.The killer inflicted a catalogue of injuries on Elsie at their Cardiff home in the eight months he had care of her. Judge Nicola Davies described the murder as a gross abuse of trust.Baby Elsie died four days after being violently shaken in May 2016. 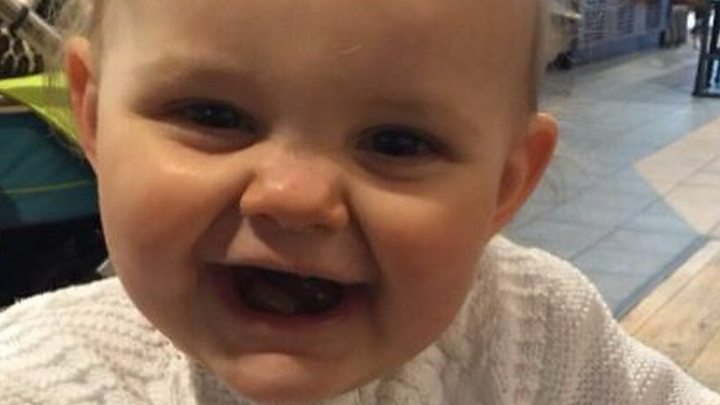 The trial heard Elsie's catastrophic injuries included a fractured skull, bruises and a broken leg.Scully-Hicks had denied murder but was found guilty at Cardiff Crown Court on Monday.Sentencing him, Judge Nicola Davies said there had been a failure to identify an earlier injury by medical staff in November 2015, which meant child protection measures were not triggered. "Tragically, it was an opportunity missed," said the judge.A child practice review is now expected to take place which will investigate the role of agencies in the case and look at whether lessons can be learned to prevent future tragedies. During a four week trial, Scully-Hicks had claimed he never harmed Elsie and said she must have suffered her fatal injuries after he changed her for bed at home on May 25 last year.She died at Cardiff's University Hospital of Wales on 29 May 2016 after doctors determined she could not be saved and her ventilator was switched off. A pathologist said her injuries were "very typical" of a shaken baby.A CT scan showed she had bleeding on the brain and a post-mortem examination revealed she had also suffered broken ribs, a fractured left femur and a fractured skull.There was also haemorrhaging within both of Elsie's retinas - associated with inflicted trauma or injury. Judge Davies told Scully-Hicks that his actions were aggravated by his daughter's vulnerability, age and the position of trust. "You had, and were aware that you had, a predisposition to injure your adoptive daughter," she said. "You took no steps to prevent a recurrence of the earlier incidents when Elsie suffered injuries as a result of your actions. "No remorse has been shown. "It was an abuse of the responsibility which had been placed on you as her adoptive father to protect and care for this young, vulnerable and defenceless child."